Jack Gramm (Al Pacino) is a forensic psychologist for the FBI and a lecturer in some things – it seems there is an element of him being a lecturer in being an expert witness in court cases, if that is a thing. Anyhow, he had something to do with putting away a nasty serial killer, Jon Forster (Neal McDonough) but now there are more murders in the same fashion. Are they copycat killings or was the wrong person convicted? And will this film be able to make you care? Then, he receives a nasty call and is told that he has 88 Minutes to live. 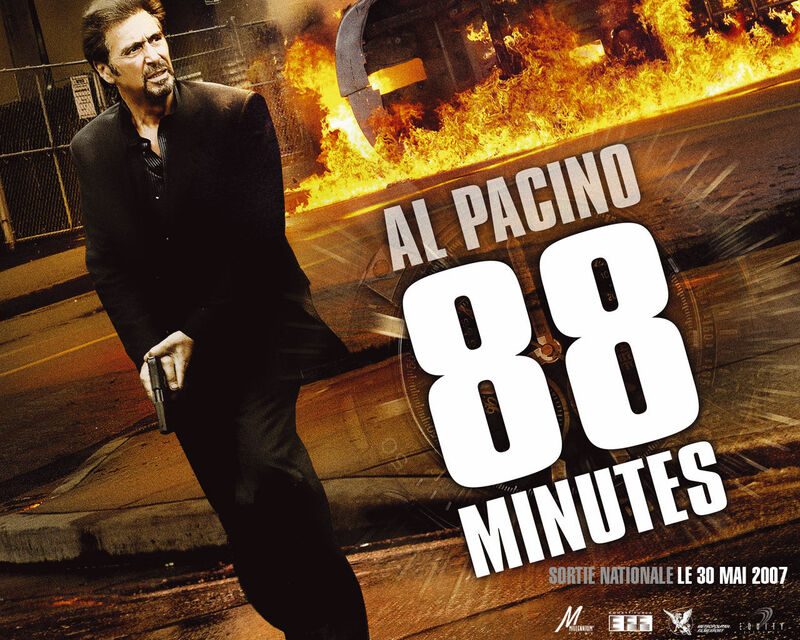 Of course, the 88 minutes are significant, but I really can’t be bothered going into that. It’s a thriller, and it’s got a lot of excitement in there, but I really struggled to care about any of it. I didn’t care who did what, I didn’t care if anyone got caught for what they did, and I didn’t care who lived or died. There are quite a few women in the film, which the feminist in me would say is quite nice, except that it seems their roles in general are just to be supporting the Al Pacino case in a variety of different ways, and that even those who seemed like strong female characters turned out to be a bit crap.